Posts about hunting, shooting, wild game, outdoors, etc…. 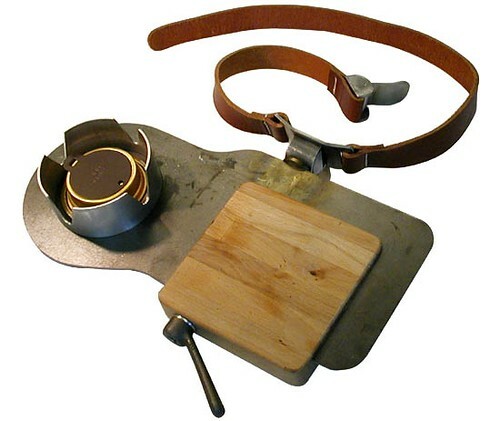 This thing is made to cook mushrooms in the wild. If you follow the link, you’ll see what looks like an uppety french guy cooking his wild mushrooms. But, I think this has great application for cooking other things in the field. 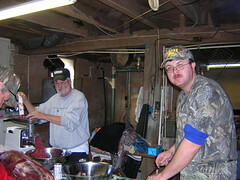 How about that fresh deer liver? How about trout? How about frying up a nice fresh squirel? See what I mean? [Update 08-24-2008 16:13:02] I forgot the link. Here it is . 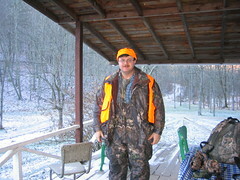 Just wanted to let everyone know that I did go deer hunting last week and I did harvest. I expect to have pictures posted soon. Also, my cousin, Adam, also harvested. I'll post pictures of his deer too. Good luck to everyone else in the woods! Stay safe! Now, for those who shoot, this is second nature…or maybe not. I thought this article was interesting so I thought I would link to it. The problem now is an academic one: What range should I zero the gun for? Well this depends on the gun and the job doesn't it? If I were smart I would zero my M1 at 25 meters. How do I know that 25 meters is a good range? I did my research. You can start with some of the stock tables on ammunition manufacturers websites like Winchester or Remington. Just look up your ammo and they will give you trajectory for bullet rise and fall. Remington also offers some free software that is very useful. So I zeroed my gun at 25m and it also happens to be zeroed at 100 yards too. If I wanted to zero it farther out, say 200 yards, I could. Then my bullets would be farther off the point of aim for some parts of the trajectory. That might be the price you have to bear if you are planning to shoot longer distances.